Property owners become over excited when their builder finally completes a brand new building for them. Yes, it’s a memorable moment that can make anyone overwhelmed with the shine of a fresh interior and gorgeous look of the exterior. However, even a newly built home can have defects. It can be a structural, cosmetic, technical or some type of other defect. 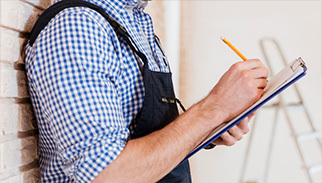 Our licensed and highly experienced building defect inspectors in Gold Coast can provide you with an accurate report after a thorough inspection of your property. It not only helps you save on extra after delivery expenses, it also ensures you get proper value of your money. During the defect inspection, our experts will examine any construction or finishing defect present in the building. After completion, we will provide you with an easy to understand report in simple language that explains to you the important issues that you need to focus on. We are available 24/7 throughout the year. So, before you make the final payment to your builder, go for a thorough building defect inspection and handover report for properties in Gold Coast.